Match 6 €3,538,428 0It's a Rollover! Earlier in the week we bought you the story of Powerball lottery winner, Willie Seeley, who won a share of the monster $448 million Powerball jackpot last month. Despite never having to worry about money again, Willie has said the money hasnâ€™t made him happy after making substantial lifestyle changes including quitting work and becoming a media darling. There is a lot of truth in the old saying that money doesnâ€™t buy happiness. Here are just a few millionaires â€“ lottery winners and business people alike â€“ who continue to live ordinary lives despite having mega fortunes, and are the better for it. Alexandra Chaar, 21, was earning $400 per week as a waitress in a Mexican restaurant and living in a shared house with four friends when she struck it lucky on a Florida Lottery scratch off in 2012. But instead of splurging all her cash on a new house and quitting her job, Chaar continued to work her job and stayed in the same shared house. Her only splurges were a car and a camera. Otherwise, she insists that life has stayed the same. 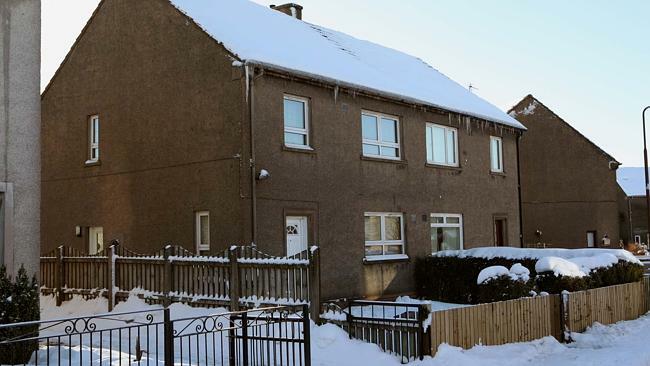 The exterior of Susan Boyle’s home in Blackburn, Scotland. Picture: Tim Anderson. 52 year old Susan Boyle, who hails from the town of Blackburn in Scotland, has amassed a fortune of more than $33 million since being spotted by Simon Cowell on the reality TV show Britainâ€™s Got Talent. However, despite touring the world, singing for Pope Benedict XVI and appearing on TV shows across the globe, Boyle has remained grounded. She is often spotted taking the bus to shop at a dollar store in her Scottish hometown and still lives with her cat in the modest house she grew up in. 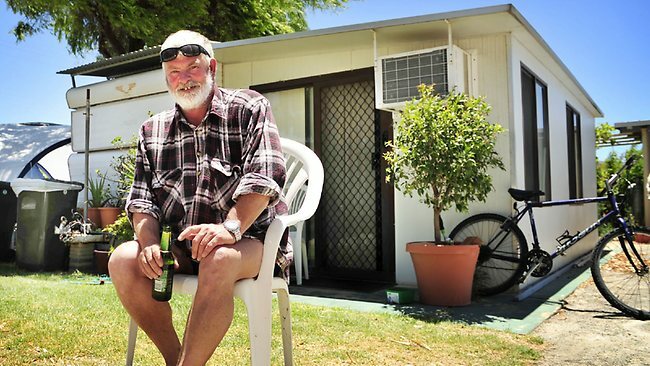 When 55 year old Paul Cousins scooped the jackpot on the Australian Lotto back in 2009, he continued to live in the caravan he had called home for the previous five years. Despite making headlines after his Lotto win, he refused to leave his caravan, saying he was â€œhappy as Larryâ€ living there. His biggest extravagance was a new outboard motor for his boat â€“ but not a new boat. â€œIâ€™m just a simple bloke,â€ he explained. With an estimated worth of $1.3 billion, Cheriton would be entitled to splash out a little more than most. However, he lives so frugally that, when eating out, he regularly takes half of his meal home in a doggy bag to eat the next day. He has also confessed to cutting his own hair for the last 15 years to avoid barbers fees and tips. Cheriton credits his frugal ways to growing up in a household of eight during the Great Depression in Canada and where penny pinching was essential to survive. With lottery winners twice as likely to be made bankrupt than the general population (according to a study by the University of Kentucky), itâ€™s clear that even with millions of dollars in the bank your future is not always guaranteed. Successful lottery winners allow their lives to be enriched rather than ruled by their sudden wealth â€“ a lesson future lottery winners would be wise to heed. For some, the possibilities created by buying their ticket is enough to create a short term level of excitement called â€œbrainstormingâ€, according to author Alex Osborn. So if you want to get your pulse racing and endorphins flowing, you could do a lot worse than play tonightâ€™s Powerball which has an estimated jackpot of $60 million. But remember the lessons of Willie, Alexandra and Paul – if you do win, make the right millionaire lifestyle decisions!